Shiner Bock and its twist-off cronies have lacerated plenty of your shirts over the years, but all that's about to change. 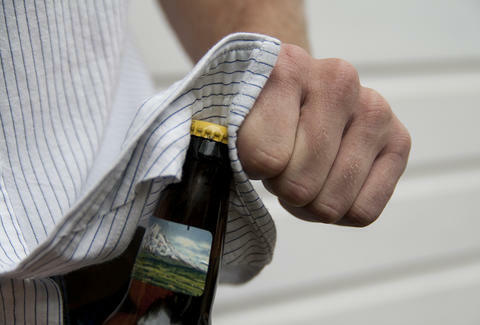 One company is finally putting an end to the senseless bottle cap-on-shirt violence through a brand new "twist-off proof" button down. Criquet Shirts' latest line of button downs features the patent-pending "Bendle sleeve". Essentially it's an extra layer of fabric sewn behind the bottom of the shirt, engineered to keep it from tearing. It's apparently named for a beer-drinking friend of the Criquet management, but all you need to know is that it's launching Friday, and you should definitely be wearing this brew-friendly masterwork by then.